The Barn has been renovated to the highest standard, and retains many original features including the oak beams. We have adopted green principles where possible and there is a rainwater harvesting system and solar water heating. We have recently installed an eco charger for electric vehicles. 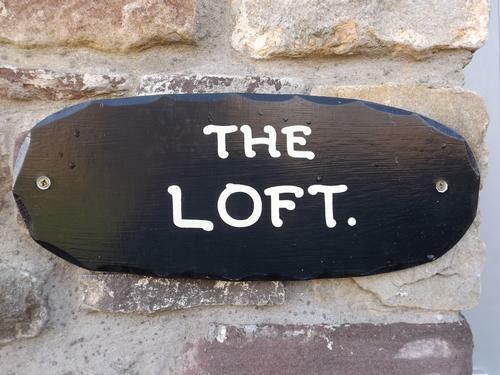 Loft can be booked with Stables for a larger group. 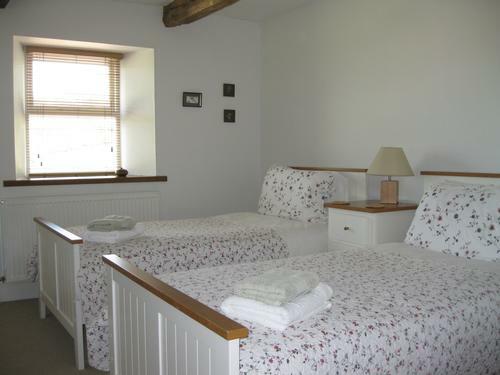 The Barn consists of two self catering cottages, and all the bedrooms are en-suite. They can be booked as one for a large party. Set over two floors Loft sleeps 4 to 6 people in a twin bedroom and a generous family room. 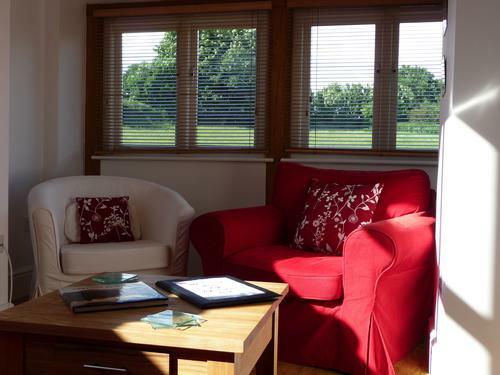 With its own kitchen/living room there are wonderful views from all windows. You have a dining table that seats 6 -10 and comfortable sofa and chairs, Freeview digital TV and wifi. 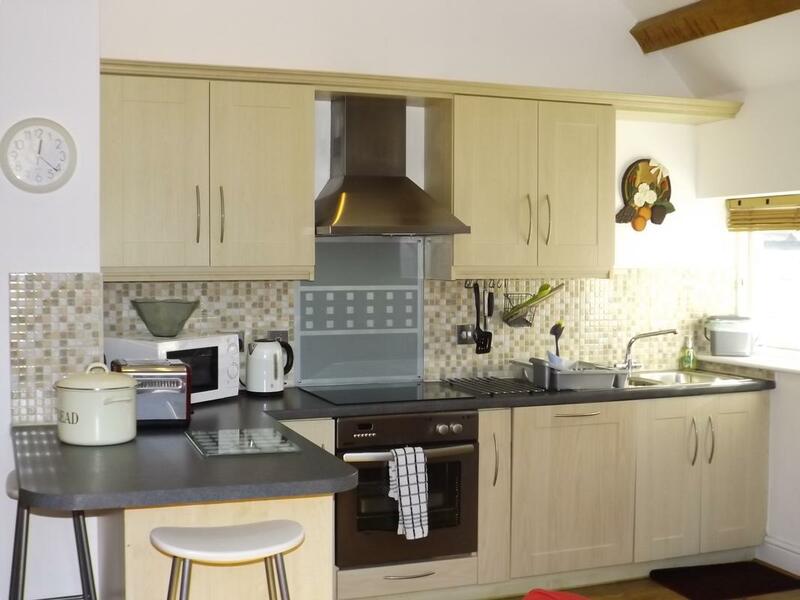 The fitted kitchen contains electric oven and hob, microwave, fridge and dishwasher. A freezer and washing machine are in a separate utility. There is also a cloakroom with wc in the hall. 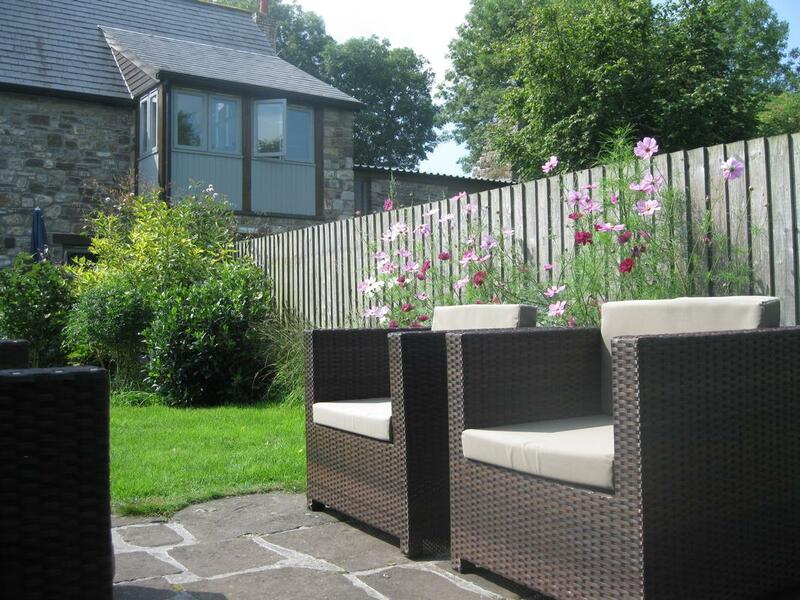 Patio and garden with barbecue. 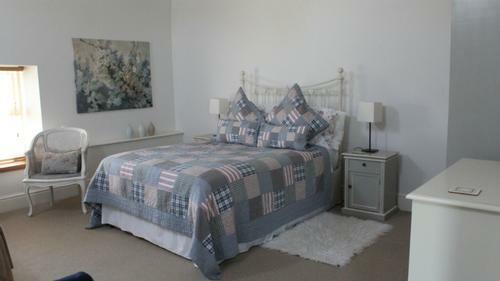 Prices include heating, electricity, bed linen and towels. We provide a welcome pack of local produce. 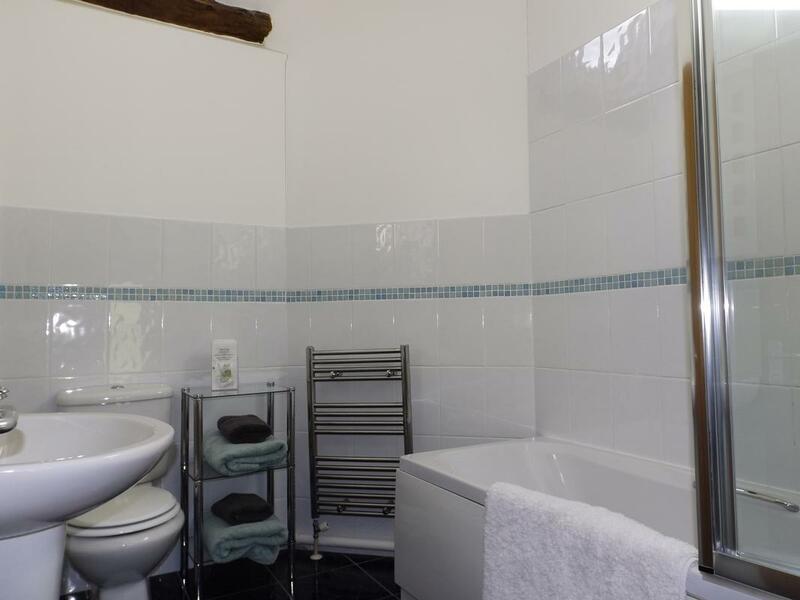 There is also a drying room for wet weather gear and secure storage for equipment. 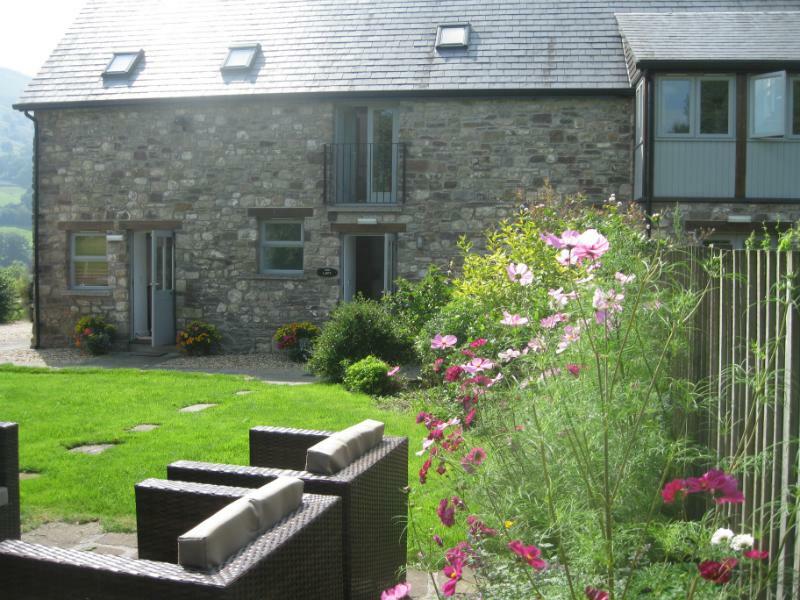 Old Rectory Barn is a detached stone property set in 5 acres above the village of Maesygwartha. Plenty of off road parking. 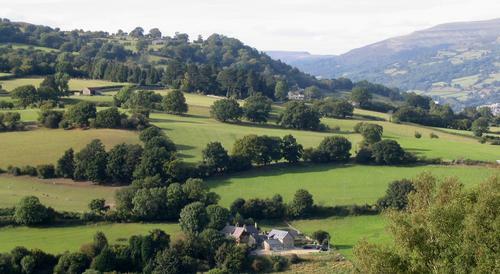 Maesygwartha is a small hamlet close to Gilwern and just 10 minutes from Crickhowell and Abergavenny. 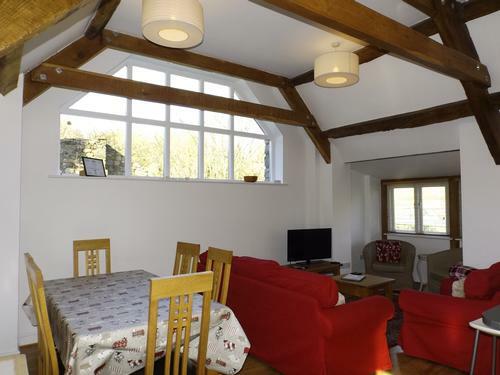 Within the famous Clydach Gorge the Barn is surrounded by hills and farmland with open views from the property. You can walk or cycle straight from the door with easy access to the Monmouthshire and Brecon canal. This is wonderful walking country and we have developed a selection of walks of varying difficulty that all start and finish at the Barn. Information about possible day itineraries in the car or by public transport is available for those who are unfamiliar with the area. 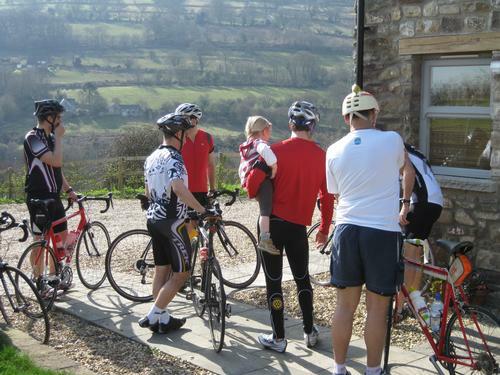 There are mountain biking routes in the area and many a triathlete has trained on our hills but the canal provides a lovely flat bike ride for all the family. 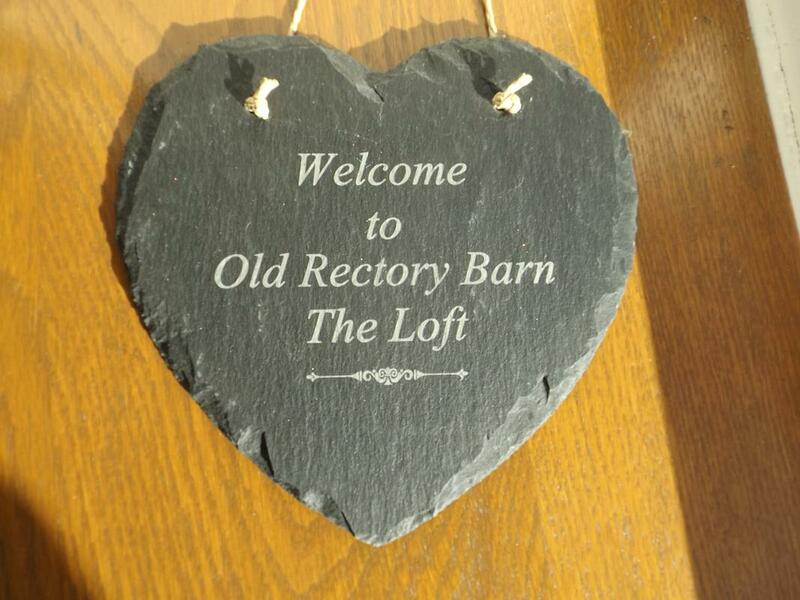 The Barn is ideally located if you want to explore the Usk valley, Black Mountains or eastern Brecon Beacons. The Clydach Gorge is on the doorstep and the Monmouthshire and Brecon Canal within walking distance. If you love history there are plenty of castles and medieval houses to explore or for industrial history Blaenavon World Heritage site including Big Pit is an easy drive as are many other areas of interest. 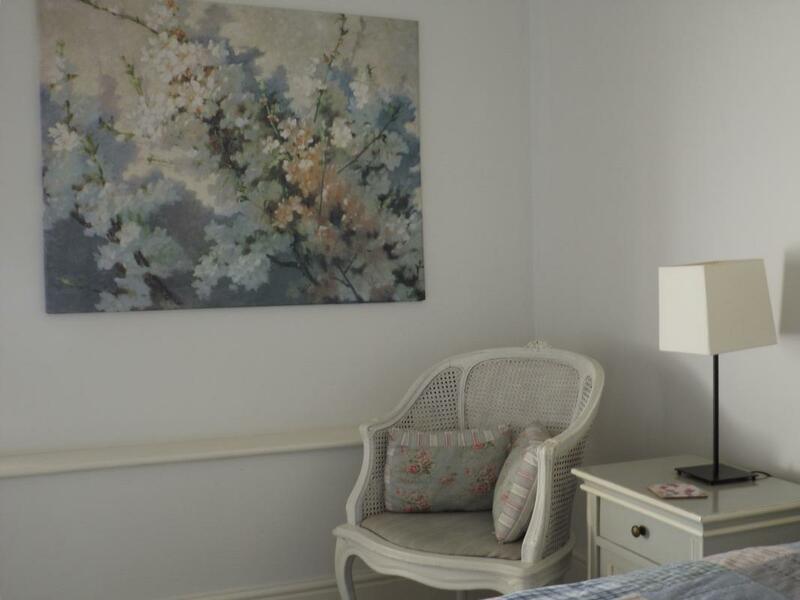 Contrasting experiences such as the City of Cardiff and Hay on Wye are also easily accessible. The nearest village with shops and pubs that serve food is Gilwern but Crickhowell and Abergavenny are only 10 minutes by car. Abergavenny is a market town renowned for its Food Festival. 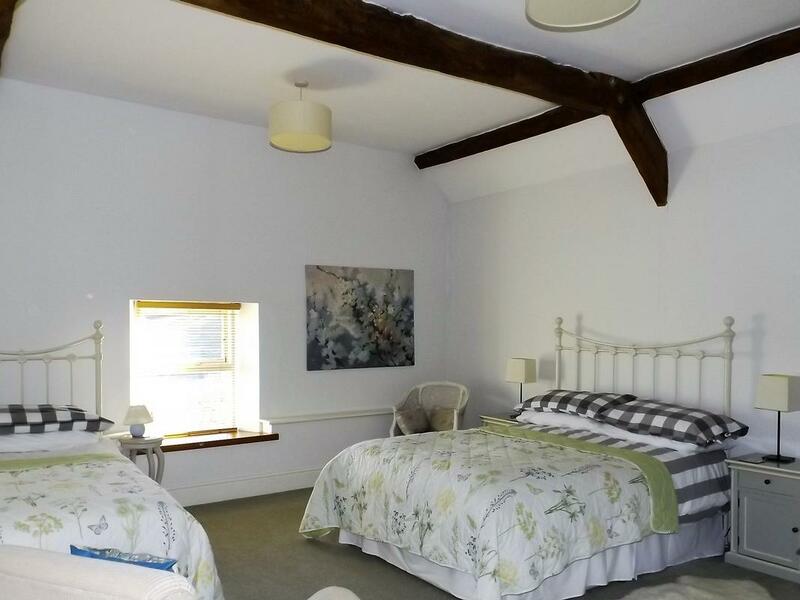 Pretty Crickhowell set up the totally local scheme and won the 2018 British High Street Award and has the famous Bear Inn. Monmouthshire is a real 'foodie'county with a number of Michelin starred restaurants. 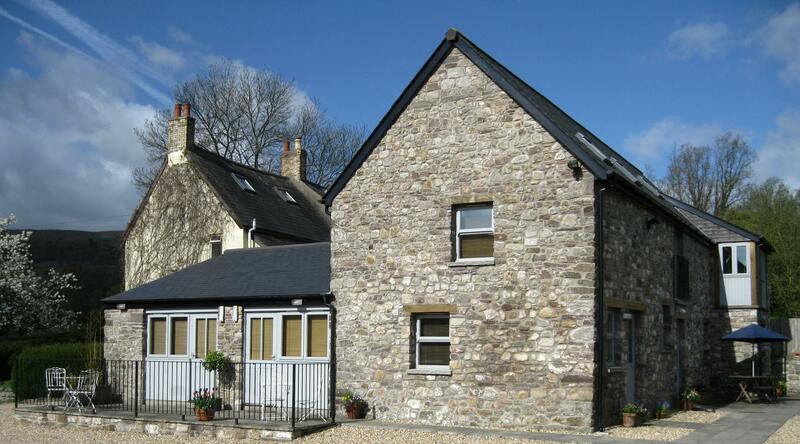 Or try the fish and chip shop in Gilwern? For children there are a number of activities in the area including Raglan Farm Park and Cantref Adventure Farm plus pony trekking and climbing centres and soft play for a dull day. We are easily accessible from all areas of the UK by road and we can supply directions for the last couple of miles if needed. We have plenty of off road and private parking with flat access into the Barn. There is an electric car charger point. Travel by rail is possible to Abergavenny or Ebbw Vale where we are happy to pick you up by arrangement or you can get here by taxi or bus. The bus stop is approximately half a mile away but involves a steep hill.